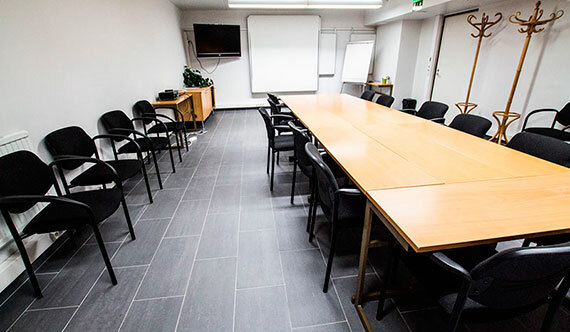 Airport Hotel Pilotti offers versatile meeting spaces near Helsinki airfield. Inspire creativity with a conference at Airport Hotel Pilotti. Our three flexible, recently renovated meeting rooms provide a stylish setting for business events of up to 40 guests. Accentuate your gathering with modern amenities including high-speed Wi-Fi, and keep your attendees energized with coffee, lunch, or dinner from our restaurant (available on request for meetings of 10 or more). And thanks to our business hotel’s convenient location near Helsinki Airport, as well as our free shuttle service, your guests can attend your meeting with a minimum of travel-related stress. Our experienced team is on hand to assist you, ensuring that every aspect of your conference is successful. And attendees staying with us at the hotel will enjoy perks including free parking, free Wi-Fi access, and an on-site sauna. Post-meeting, be sure to visit some of the local attractions here in Vantaa; we’re just minutes away from shopping at Jumbo and entertainment at Flamingo, and downtown Helsinki is a short bus ride away.